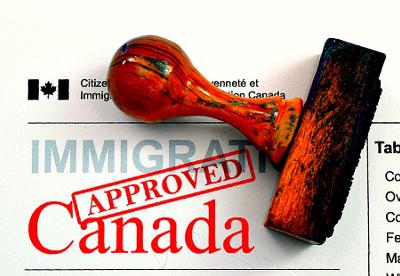 Canada’s Immigration Policies in Urgent Need of Revision - Canada Immigration and Visa Information. Canadian Immigration Services and Free Online Evaluation. Refugee policy has come up as a key issue in Canada’s general election campaign, arguably highlighting the need of a rethink of the country’s long-term immigration policies. With Canada’s international reputation now tarnished because of its inadequate response to the refugee crisis in the Middle East, the next government will have to take major steps to rid the country of the accusation of being small-minded and bigoted. While all of the contenders of the upcoming election have proposed their own refugee policies, critics argue that these proposals are far from acceptable from a humanitarian standpoint. Most important, they do not address Canada’s looming demographic crisis. The use of crowd pleasing political catchphrases mask the fact that the political class are seemingly keen to delay and drag out the process of granting a safe haven to asylum seekers, and this too just when Canada needs a younger workforce to sustain its ageing population. Young Syrian families fleeing from Bashar al-Assad’s forces or the Islamic State will arguably prove to be beneficial to Canada for generations to come, just as refugees fleeing conflicts have been in the past. With the United Nations and the United States failing miserably in both the prevention and the solving of the refugee crisis, it is Germany which has emerged from the current crisis with its reputation enhanced. Under Chancellor Angela Merkel’s leadership, Germany is set to take in over 800,000 refugees, far more than the 25’000 that would be allowed in to Canada by the Liberal Party – which is the highest number proposed by any of Canada’s political parties. This, despite Canada’s low population density and massive geography that far surpasses Germany. That narrow view of Canada and its capacity, shared by the political establishment, does a deep disservice to the idea of who Canadians are and the principles the country was built upon. The fact remains that Canada’s core values are not being reflected by any of the political parties contesting the election, least of all the Conservative Party. It is time for a new conversation about Canada’s immigration policy, one that will not only ensure its prosperity but shape the country for the foreseeable future and beyond.